It’s time to take a break! Need to escape the stressors of daily life, but don’t have time for a full-blown vacation? Take 24 hours and get away from it all in Sacramento. The nearby escape is undergoing a revitalization. 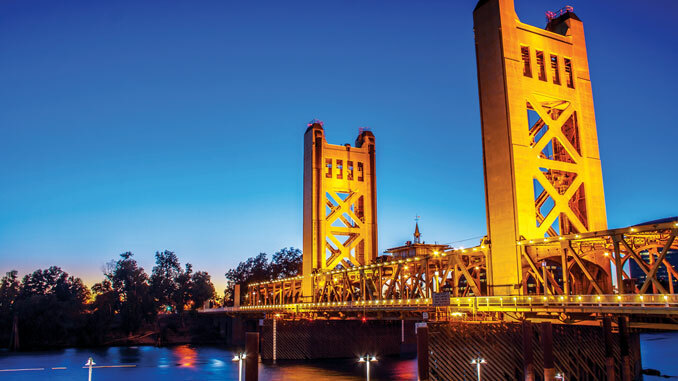 Recently coined America’s farm-to-fork capital, Sacramento is a casual destination for lovebirds, families, and friends looking to dine, shop, and laugh their way through a quick 24-hour getaway. Follow our itinerary, with plenty of opportunities to choose your own adventure, and experience some of the best the city has to offer. The state capitol offers no shortage of shopping malls. Nestled into every nook and cranny sits another large shopping venue or stretch of one-of-a-kind businesses. Venture out to Fair Oaks Boulevard near Howe Avenue to shop the Pavilions. A few larger draws exist here, such as Williams Sonoma and Talbots, but the shopping center is also filled with lesser-known gems. 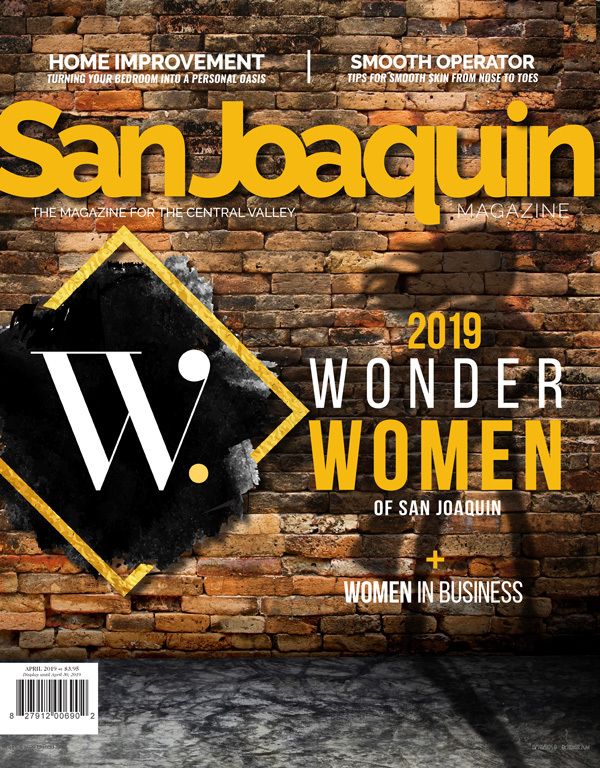 Arden Fair is one of the largest shopping centers in Sacramento, and it’s completely indoors so you won’t have to worry about those April showers. The two-level, 1 million square foot mall gets its name from the street its located on—Arden Way. 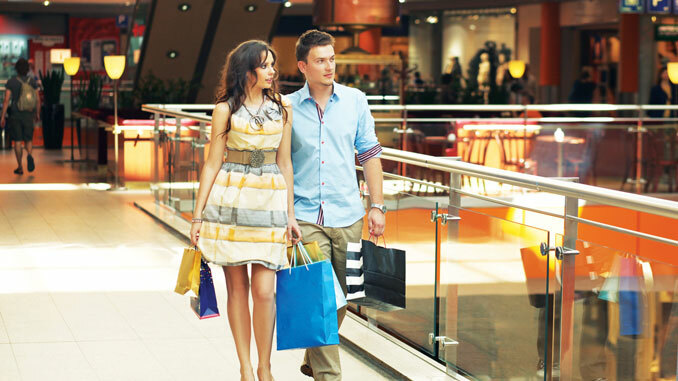 With more than 165 stores and eateries inside, it’s a shopper’s paradise. Between Nordstrom’s and Sephora, slip into APEX by Sunglass Hut for a new pair of shades, grab a handbag at COACH, or shop feminine goods at Francesca’s. Take a lunch break to refuel during shopping. Arden Fair is home to Memphis-style eatery Delta Soul, a southern kitchen boasting pulled pork sandwiches and collared greens. Also inside, the family-owned Greko Grill & Café specializes in authentic Greek and Mediterranean dishes. If you’ve already made it to Downtown Commons before your appetite returns, step into Sauced for the best in Southern-inspired barbecue and cocktails. Tour the Capitol Building. Have you ever been curious about California’s State Capitol? Taking a tour is easy. Every hour on the hour, from 9 AM-4 PM, public tours are conducted. On weekends you’ll need to enter from the N Street entrance. Films are shown daily in the basement (9AM-5 PM) and admission is free. Visit the Sacramento Zoo. More than 140 types of native, exotic, and endangered animals call the Sacramento Zoo home. Located inside Williams Land Regional Park, visitors can enjoy the company of flamingos, chimpanzees, snow leopards, African lions, jaguars, tigers, zebras, giraffes, otters, red pandas, and more. It’s easy to spend an entire afternoon at the Commons, downtown Sacramento’s revitalized city center. Next to small boutiques and global brand shops, entertainment is king. 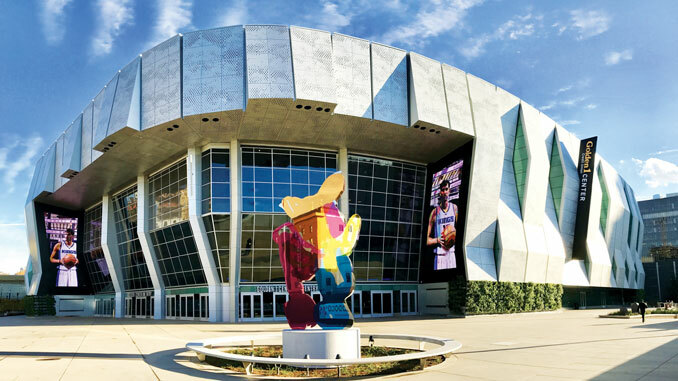 The Golden 1 Center, home of the Sacramento Kings, took over a large portion of the former shopping haven. Inside, concerts, family shows, ice events, and more are part of the weekly line-up. In April, the Kings will face off against the Rockets (April 11), V101’s Throwback Freestyle Jam will take over the arena (April 13), and D.L. Hughley, Cedric the Entertainer, George Lopez, and Eddie Griffin will team up for a Comedy Get Down (April 26). If you can wait, May 1 welcomes Train and Hall & Oates to the stage. This festive eatery combines handcrafted beverages with a scratch kitchen and nostalgic pastimes. Bowl a few rounds, throw some darts, and play shuffleboard until check-in. Check-in starts at 3 PM at the Citizen Hotel on J Street. You can venture in whenever you’re done hanging around Downtown Commons. In the midst of Sacramento’s major revitalization, and its rebrand as the Farm-to-Fork capitol, plenty of places to stay are popping up all over. The Citizen Hotel, however, is a staple, and when given the chance to book a room there, don’t pass up the opportunity. The Citizen Hotel is walking distance to the Commons and many of the nighttime activities you’ll want to enjoy, which makes it an ideal resting point for your stay. Many rooms even overlook Sacramento’s boisterous downtown, providing glorious city views. Rooms range in size and luxury, however, each suite is graciously appointed and decidedly opulent, echoing the sophisticated style of the main lobby, where large, uniform books line the walls. For a real experience, book the penthouse. The 14th-floor suite offers a 200 square-foot private balcony, extra-deep jetted tub with a built-in wet bar, and access to the Big Four private lounge—among other amenities. Go ahead and take advantage of valet. 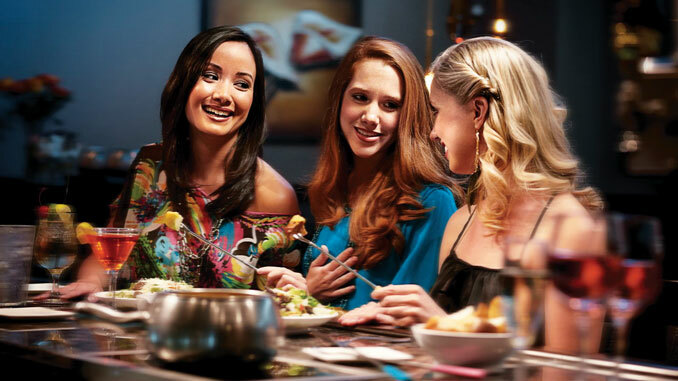 When it’s time for dinner, walk down to The Melting Pot for a three-course dinner. Dining on fondue at The Melting Pot is less a meal than it is an experience. Here’s the rundown: order communal pots of cheese, broth, and chocolate from the menu. Waiters serve uncooked items—including fruits, vegetables, breads, and meat—on small trays with long skewers. Diners dip their favorites into the medium of choice and cook it briefly before downing. The highlight is dessert, so save room. Decadent concoctions of chocolate, nuts, graham cracker crusts, and other delectable ingredients are prepared for dipping fresh fruits and indulgent treats. Feeling fancy? Order up a martini sampler—several of the restaurant’s favorite sippers served as over-sized tasters. The walkability of Sacramento’s downtown will be appreciated post-dinner. A few blocks away, the Comedy Spot offers shows six nights a week. Performers are part of the venues improv, stand-up, and sketch classes, so it’s often a new group and you won’t know what you’re going to get (SacComedySpot.com). Grab a beer and settle in. If you prefer to skip amateur hour, head to one of Sacramento’s larger comedy clubs. Punchline Sacramento takes you back toward Arden Fair Mall, inside the Arden Arcade (PunchlineSac.com). Every night except Monday, a mix of well-known and emerging artists take the stage. In addition to performances by Steve Byrne and Tony Roberts, big events take over for one night at a time. Fans of the Small Town Murder podcast can attend the Shut Up and Give Me Murder! tour on April 15. On April 18, attendees can join in the fun by playing a round of Cards Against Humanity with strangers. Head back to your hotel for a nightcap. Downstairs, Grange Restaurant and Bar will be buzzing. Take a seat at the bar or scope out a table. Its downtown location invites locals as well as hotel guests to order just about anything you can dream of, including small bites if you’re hungry. Don’t have to head home just yet? Add one more item to your itinerary. Old Sacramento is a National Historic Landmark District located walking distance from downtown (and your hotel). Upon stepping into the national park, guests are transported back to the California Gold Rush. Enjoy the Railroad Museum, titter through shops of yore, or simply enjoy the view of the Sacramento River as you traipse through history. You’ll have to scratch The Citizen Hotel and fondue dinner from your itinerary to fit in this gem, but for couples seeking something different, it’s the ideal experience to indulge in. The Delta King Riverboat—a famous riverboat with a storied history on the Sacramento River—is the identical sister ship to the Delta Queen, which floats on the Mississippi River in New Orleans. Originally built in Glasgow, Scotland, and Stockton, the riverboat still holds some of the charms that made it a popular vessel in 1927, when it was christened. Inside, guests are invited to dine on upscale cuisine (at what is now the Pilothouse Restaurant) before retiring to a room upstairs. Rates have gone up a bit since its inception, when the riverboat was populated by those looking for an evening of prohibition-era drinking, jazz bands, gambling and fine dining and rooms went for $3.50 a night, but the experience is one unlike any other in the region, afloat a vessel that has earned a place on the National Register of Historic Places. If you play your cards right, you can trade in that comedy club for a different evening experience. Suspects Murder Mystery Dinner Theater plays out onboard on select nights.